Pope Francis said he was mourning the death of English toddler Alfie Evans, who died four days after doctors withdrew his life support system. The 23-month-old boy died at about 2:30 a.m. April 28 after his father, Tom Evans, spent 10 minutes trying to revive him by mouth-to-mouth resuscitation, according to reports in the British media. The Vatican-owned Bambino Gesu hospital in Rome offered to care for Alfie, although doctors who examined him said not much could be done but to make him comfortable. On April 23, the Italian government granted citizenship to the boy so he could be evacuated by a waiting air ambulance. But that same day, Alfie was taken off his ventilator, and he was expected to die imminently. He began breathing unaided, prompting appeals by his parents to the High Court and then the Court of Appeal to allow their son to leave the country. Judges upheld the original decision that it was in the “best interests” of Alfie, who suffered from a severe degenerative brain condition, to be allowed to die. Tom Evans, who had been highly critical of Alder Hey Children’s Hospital in Liverpool, ceased to give media interviews April 26, saying he wanted to cooperate with doctors in the hope Alfie might be taken home. His inability to remove his child from the hospital led to passionate demands from politicians and media commentators for an “Alfie’s law” to allow parents to seek help elsewhere when doctors believe they can do no more. The case had also drawn criticism of the British courts and health service from all over the world. The Bishops’ Conference of England and Wales has defended of the actions of the hospital, however. Archbishop Malcolm McMahon of Liverpool said he discussed the case personally with the pope and has assured him that Alder Hey had done everything “humanly possible” to help Alfie, according to an April 25 report in The Tablet magazine. 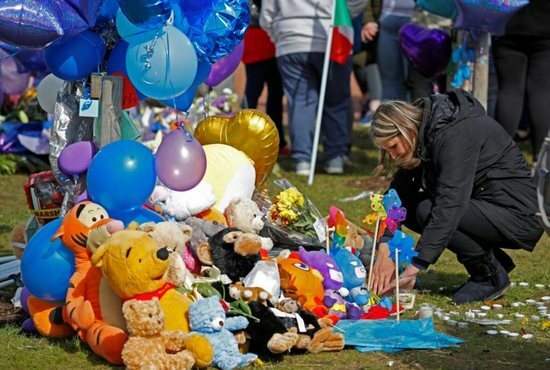 Following the death of the boy, the archbishop praised the professionalism of the staff of the hospital in a statement posted April 28 on the website of the Bishops’ Conference of England and Wales. “I would like to express my deepest sympathy at this moment of loss to Tom and Kate as we hold little Alfie in our prayers,” said Archbishop McMahon. So far, a date has yet to be announced publicly for Alfie’s funeral, but it was expected to take place in Liverpool within two weeks.